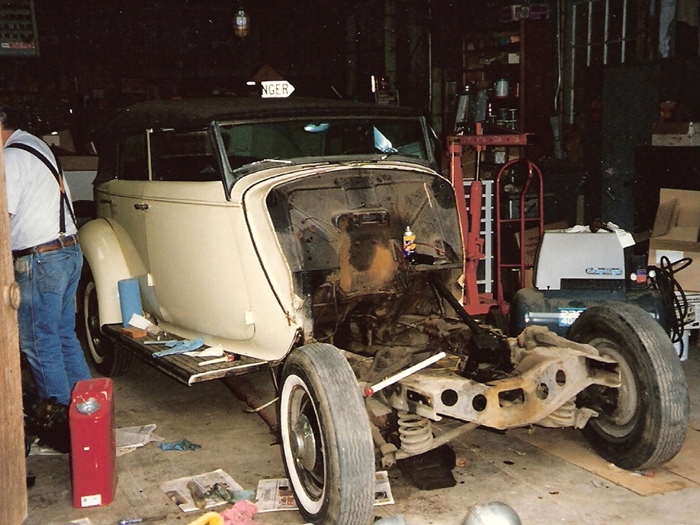 In 2000, Monte Glud decided to embark on a total restoration of his Packard 120-B Convertible Sedan. 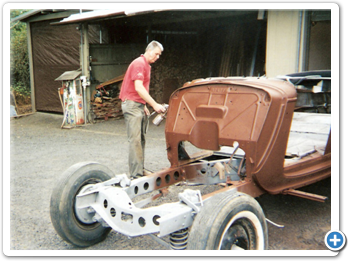 He had purchased the car in 1994 and had the engine rebuilt by Jim Classen in 1995. 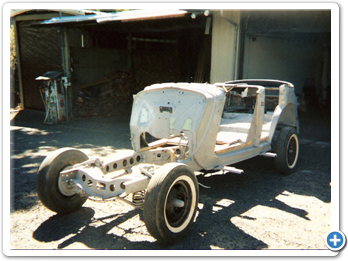 Classen was known for his quality workmanship and familiarity with Packard engines. Until the early 1950s, cars used non-detergent motor oil and had either bypass oil filters or no filter at all. Oil refining techniques were less sophisticated and motor oil contained more wax. As a result, old engines were often full of black, wax-like sludge. The additives in modern detergent oil suspend soot and other impurities until the oil passes through a full-flow filter, or until the oil is drained, so engines stay cleaner, and last longer. 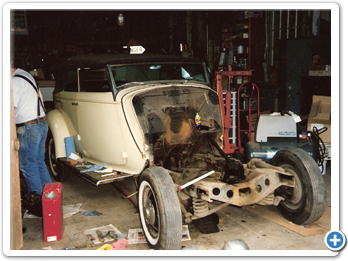 While Jim Classen continued to work on engine, Monte made arrangements with restoration specialist Dave McCready to begin restoring the rest of the car. 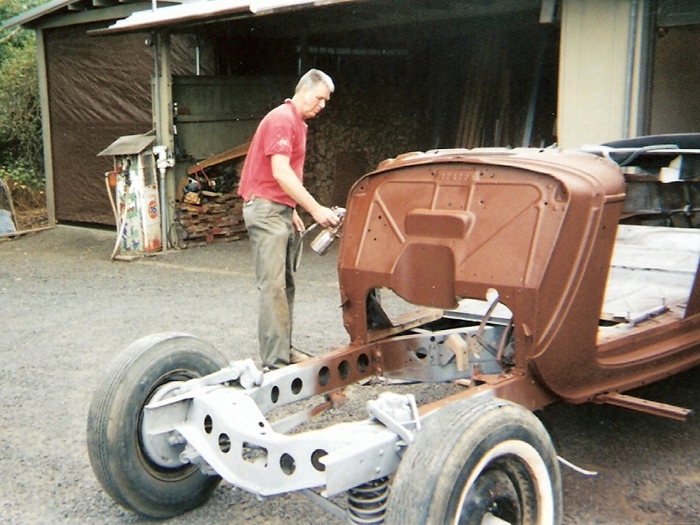 It’s important, after the blasting, to prime the bare metal as quickly as possible to prevent rust. Some shops try to seal the metal within hours of paint removal. 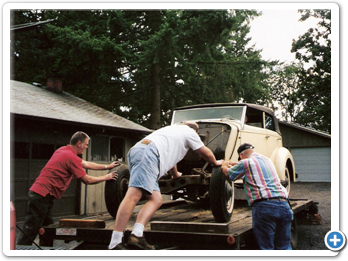 Before long Dave suggested that Monte take the Packard’s interior home to store until the upholstery shop was ready to start. 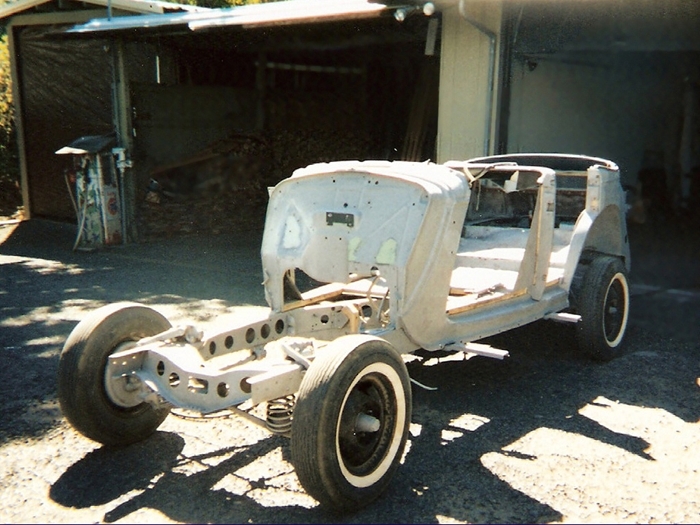 When he arrived home with the old upholstery, he noticed movement in the back of his truck. “There were all these mice jumping around and I’m not much of a killer of things, but I was so darn mad! I killed six of them with a hammer before I got them all. The seats smelled so bad, it was just horrible! So I put them in my wife’s Taurus station wagon and went over to the Chrysler dealer, because I had heard somebody had died in a car and the Chrysler service people were able to get the smell out. It turns out they have a deionizer machine, which they put in the window of the Taurus. 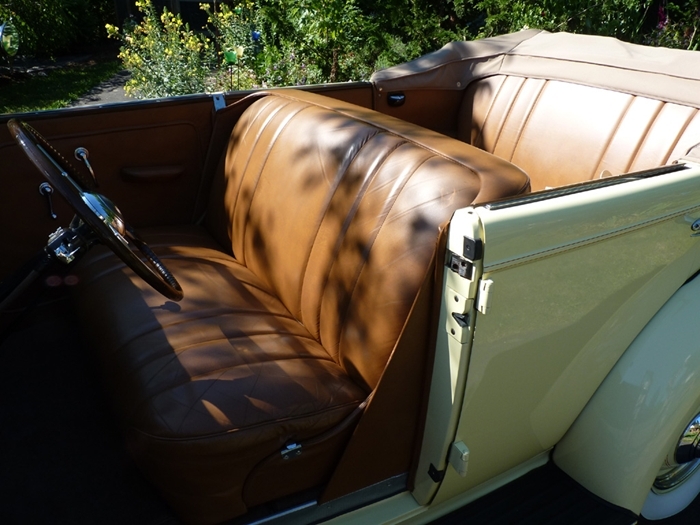 It was in there only one night but the Packard seats and my wife’s Taurus ended up smelling fresh as a daisy. Provides the definitive reference for the Packard enthusiast. 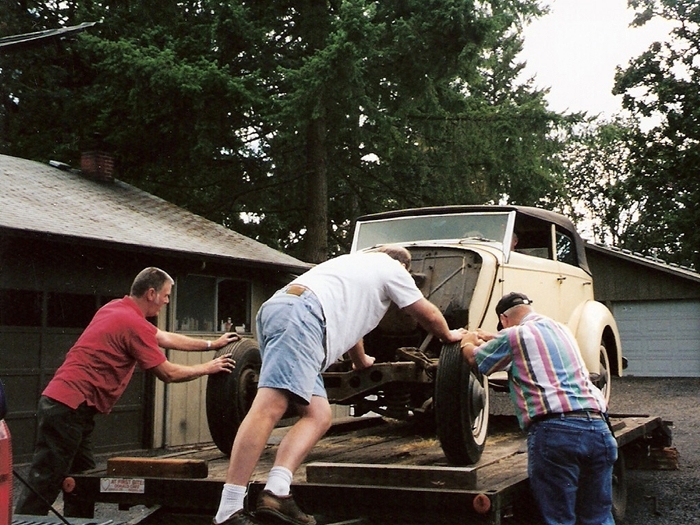 Filled with 1,200 historic photographs from Packard archives. In the popular Crestline series. 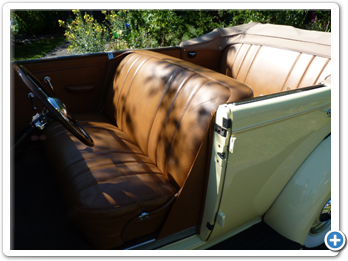 Few American cars could match the beauty, styling and engineering of the Packard motor car. 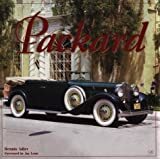 From its birthplace in Warren, Ohio in 1899 to its final days in Detroit, Michigan and South Bend, Indiana in the late ‘50s, this program chronicles the history of the Packard automobile through interviews with Packard owners, vintage film, and Packard archive photographs. Hosted by Edward Herrmann.